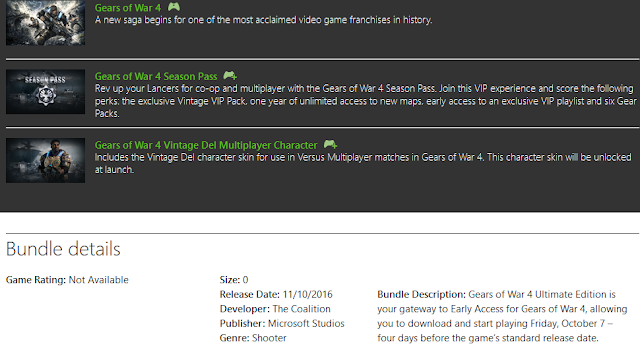 The digital pre-order of Gears Of War 4 became available late last night on the Xbox store, with two editions now available for you to buy and look forward to until the October 11th release day. The standard edition of the game will set you back £49.99/$59.99, with the Ultimate Edition setting you back £79.99/£99.99. 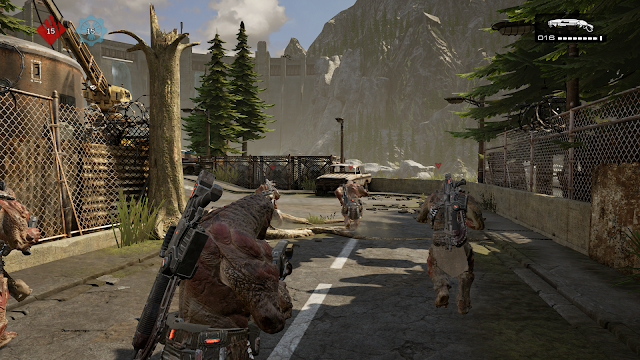 While both editions offer a Vintage Del character skin for use in multiplayer matches in Gears of War 4, the interesting part looks to be if you get the Ultimate Edition of the game. Reading the description it seems to offer you a way of getting the game even earlier, with you getting to play the game on October 7th. Getting to play the game early is always going to make people not worry about paying a little extra, but the extra price you are also paying gets you the season pass for the game, with the following DLC to look forward to if you do go down this path of pre-ordering. 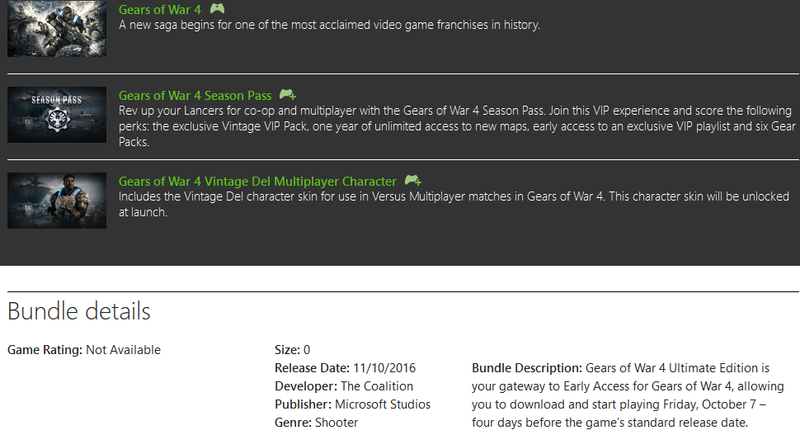 "Rev up your Lancers for co-op and multiplayer with the Gears of War 4 Season Pass. Join this VIP experience and score the following perks: Five exclusive digital items as part of the Vintage VIP Pack, including the Vintage JD character skin, Vintage Gnasher and Dropshot weapon skins, Vintage JD Emblem and Vintage JD Bounty for extra XP; permanent DLC map ownership of over 24 additional maps (two per month for a year) for private play on dedicated servers; an exclusive VIP “Early Access” Playlist that grants a preview to upcoming modes, maps and variants; and six Gear Packs which unlock special character and weapon skins, equipment and abilities, and XP boosting bounties." You can pre-order either version right now by going to the Xbox Store by clicking here.